Are you looking for a quick meal idea? A meal that is wholesome yet still tastes great. 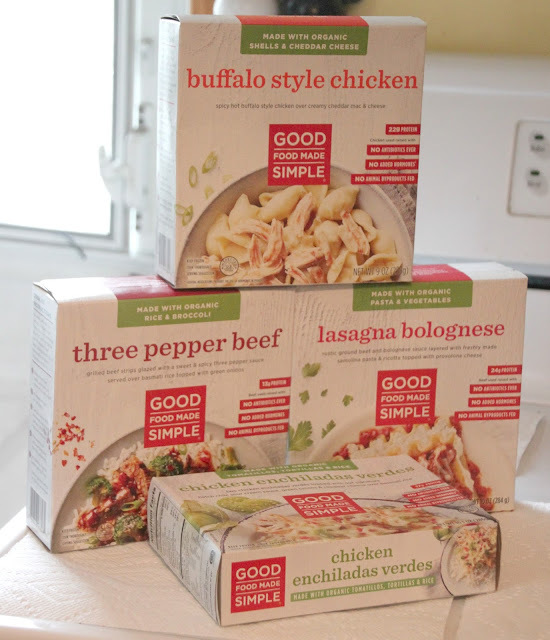 Busy moms out there you are going to love the new line of Entrée Meals from Good Food Made Simple. 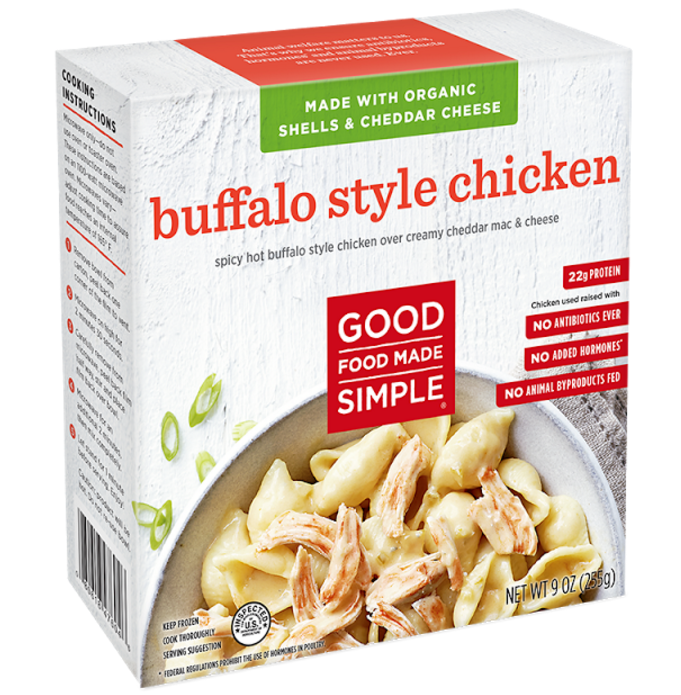 Good Food Made Simple is committed to revolutionizing the freezer aisle with clean, made-with-organic foods. Good Food Made Simple exists because we believe we can make food better—by keeping things simple. They believe eating well should taste good, too. That’s why their recipes are created by a real chef. Good Food Made Simple’s test kitchen is a real restaurant, and our ingredients are the best we can find—organic whenever possible. Simply put, they love what they do—bringing amazingly healthy, fantastic-tasting, easy-to-prep food options, to those who believe in nourishing our bodies the same way Good Food Made Simple does: with good food made simple. 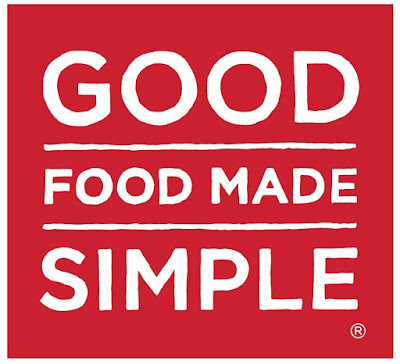 Good Food Made Simple is the maker of the #1 brand of natural and organic breakfast burritos, and now Good Food Made Simple has expanded to lunch and dinner with a new line of restaurant inspired The Entrée Meals are made with organic ingredients and use simple, real foods like whole grains, organic veggies and humanely raised meats. Focused on flavor, Good food Made Simple worked with a professional chef to recreate restaurant-inspired recipes for a true culinary journey. 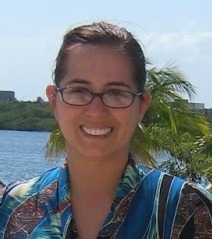 Being a busy working mom, my family and I have had our fair share of frozen dinners. I try to make fresh home cooked meals as much as I can but sometimes it just does not work out. I may have a super busy day at work and we have to look to the freezer for that night’s dinner because I am too tired to cook. It just has to be that way, there are only so many hours in the day. But now there is a better way to eat frozen meals, with a better for you frozen mean from Good Food Made Simple. These meals are made with wholesome ingredients and are organic whenever possible. The meals are made with cage-free eggs and antibiotic-free meats, nitrate-free, uncured bacon from pigs that are never given any antibiotics. 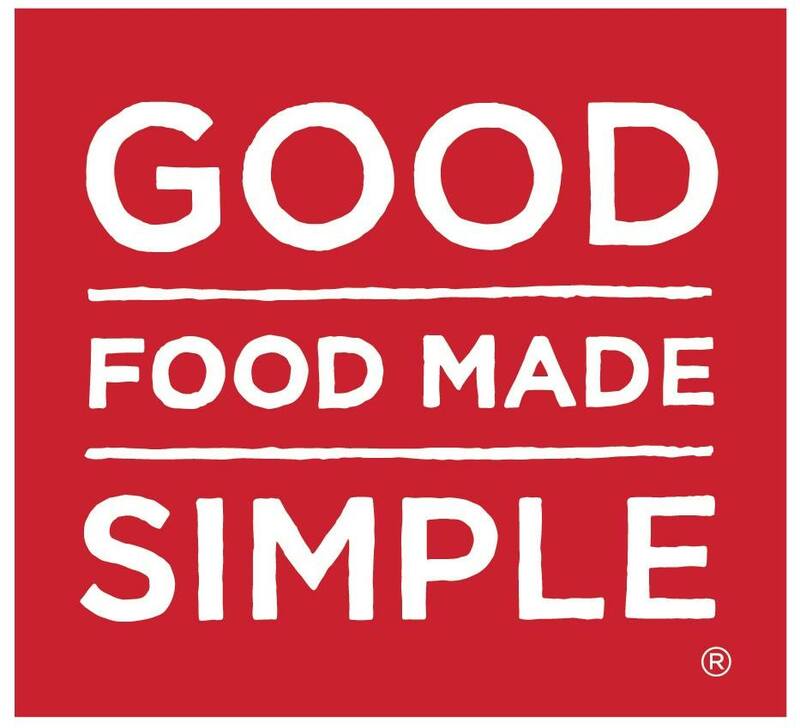 The Good Food Made Simple meals are all made with no artificial flavors, artificial preservatives, artificial colors or artificial sweeteners! 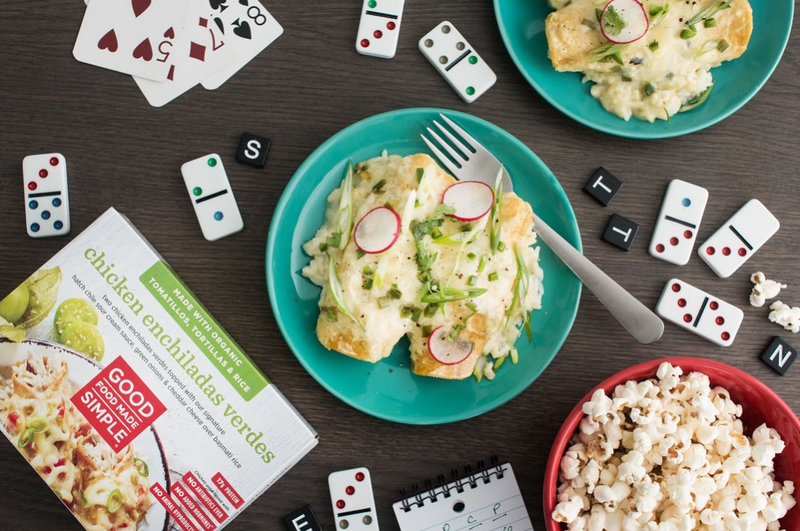 I was very fortunate to be able to go on a culinary journey myself and check out a few of the variety of the new Entrée Meals from Good Food Made Simple. There were so many great options to choose from, chicken to beef, to non-meat options. My family could not wait to dig and try these great looking meals. First up was the Buffalo Style Chicken, being a fan of spicy food with a kick this was right up my alley. I loved the creamy thick sauce it had a nice spice that was not overpowering. The dish was filled with grilled chicken that had a real taste, you know what I mean… have you ever tried chicken that had a non-chicken and more of just a chewy taste, well this was nothing like that, the chicken was real as tasted like it. My husband is a starch and beef kind of guy and his choice for dinner was the Three Pepper Beef this smelled amazing just like a slow cooked meal. The beef was plentiful and the peppers had light body to them and were not mushy. Bobby really enjoyed this. My daughter is a big fan of all things that have to do with Mexican food, so needless to say she was excited to try the Chicken Enchiladas Verdes. The meal was filled with rice chili and chicken. It was one of the best frozen Mexican meals ever (my daughter let me taste the littlest bit…) she ate this up and asked if we could pick this up again. The Lasagna Bolognese was rich and hearty with plenty of ricotta and mozzarella cheese. Meat and cheese… and pasta what is not to like. The sauce had a nice balance, not sweet and not overly tomato tasting. This was my favorite of all that I tried so far. The prices for these meals are affordable, starting at $3.99 each, but be sure to check out for sales! My local target had the meals priced at 2 for $7.00 and that is a great deal. Overall we were very impressed with Good Food Made Simple’s New Entrée Meals These are real meals made with recipes are created by a real chef, in test kitchen that is a real restaurant, not a lab. You can really taste the difference between these meals and other frozen meals on the market, you can taste the authenticity and they reminded me of home cooked meals and that is a great thing. Next up I can’t wait to try the Hatch Chili Mac, I will have to check out to see if any other local Targets carry this one…. Because what is not to love about mac and cheese? And the addition of the hatch chili’s, I am sure this is flavorful and a great mac and cheese, can’t wait to try that next. 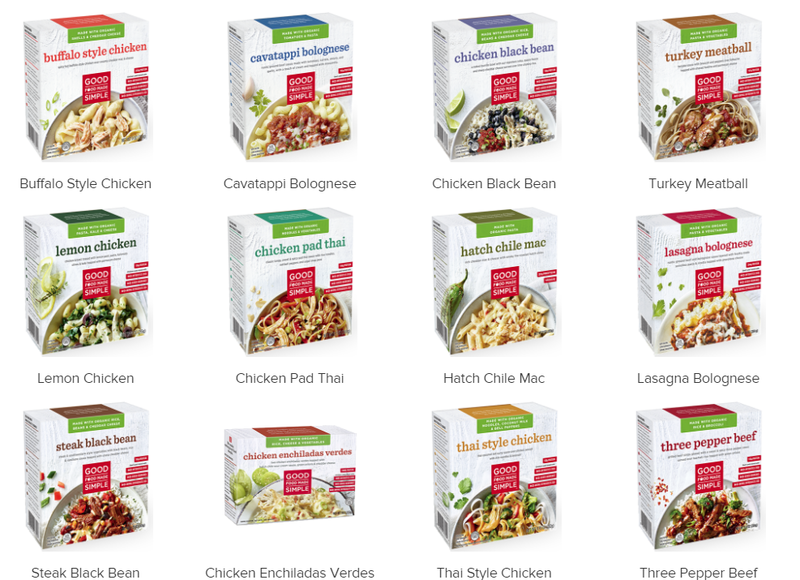 The Entrée Meals launched nationally at Target stores and are available in the frozen aisle in 12 varieties retailing for $3.99. If these meals look like something you and your family will love be sure to pick up a few on your next visit to Target. I would love to hear what you think about these meals. Did you like them as much as my family did? The generous folks at Good Food Made Simple are giving one of Susan’s Disney Family readers a chance to try out some of the meals for yourself. 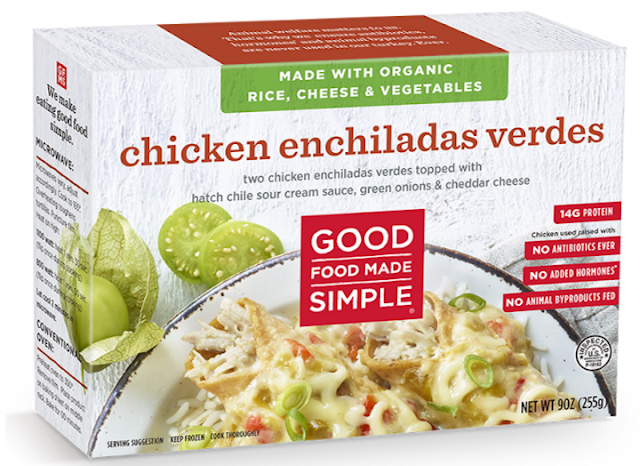 One winner will win 5 free product coupons for Good Food Made Simple entrée meals. Would you like to enter? 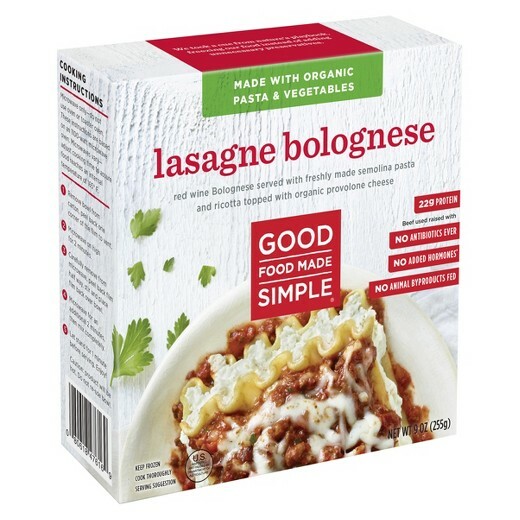 Please visit the Good Food Made Simple site, and take a look around then come back here and comment with what product you like the most and why? There are also other ways to enter, please enter below. You can purchase Good Food Made Simple meals at a store near you check out the store locator to find one. One winner will win 5 free product coupons for Good Food Made Simple entrée meals. Disclosure: The reviews and or opinions on this blog are my own opinions . I received a Target gift card to purchase meals for this post. No monitory compensation was received. I was not required to write a positive review. Your experience may differ. The opinions I have expressed are my own I am disclosing this in accordance with the Federal Trade Commissions 16 CFR Part 255: Guides Concerning the Use of Endorsement and Testimonials in Advertising . I would like to try the Pad Thai because I like Thai food. We love Italian food so I really want to try the Lasagna Bolognese. I most want to try Chicken & Black Bean Entrée Burritos. I love Mexican foods. I would love to try the Cabot White Cheddar Mac & Cheese because mac and cheese is one of my favorite foods. 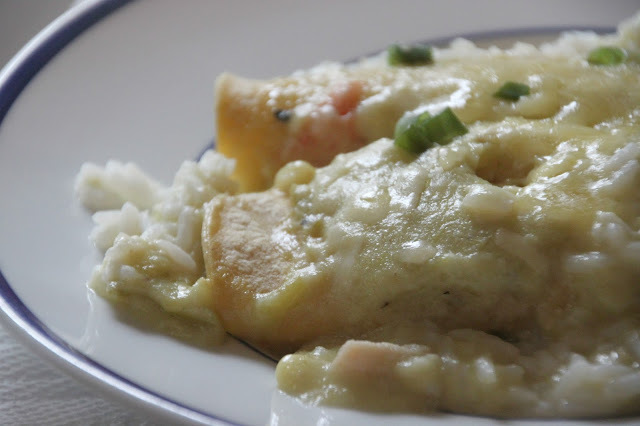 I would like to try the chicken enchaladas verdes the most. I would like to try this one because I absolutely love mexican food. 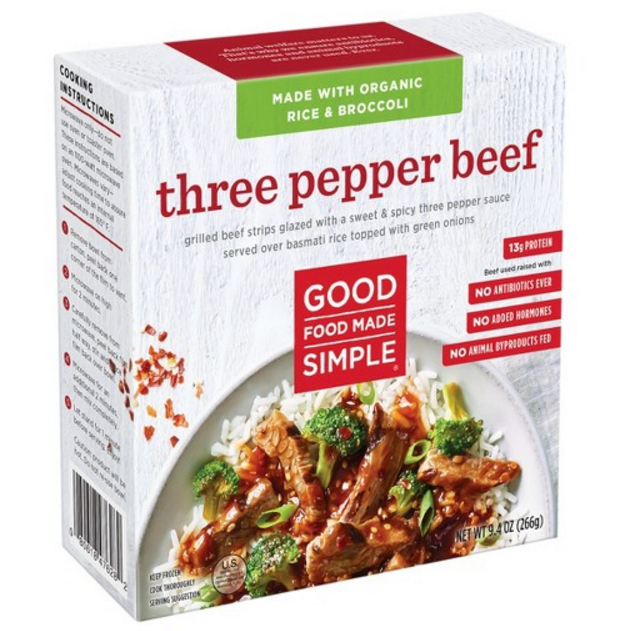 The three pepper beef looks right ip my alley. The lemon chicken sounds good. I would love the EGG WHITE PATTIES. They would be a healthy and quick breakfast for me to have. I would like to try Root Beer BBQ Pulled Pork because it sounds different. I am loving the Buff Style Chicken. I love spicy foods but I've never had a Buff Chicken with pasta it looks so DELICIOUS & yummy. The lasagna bolognese.. it looks awesome! I like the Chicken Black Bean because it is high in fiber. Chicken & Black Bean Entrée Burritos sounds so good love to try them all!